You moved your music files to different location and then you notice that you had a long list of dead tracks in your iTunes library. Surely, you can delete them one by one. However, don’t you think it too low-efficient? Who would like to spend a lot of time dealing with this trifling thing? Isn’t there any practical method to remove dead tracks iTunes? Today’s post will demonstrate you how to remove dead tracks in iTunes. Super Remove Dead Tracks is an easy-to-use AppleScript that can remove dead tracks iTunes or remove duplicate tracks iTunes in an easy and fast way. You can get the tool at the Dougis AppleScripts Web Site. One thing interesting about the software is that Super Remove Dead Tracks is donationware, which means you can donate whatever money you’d like. Come on! Let’s take a look how to use this software to remove dead tracks iTunes. Step 1: Open Mac Library Folder and iTunes Folder. Step 2: Find a folder called Scripts, if you don’t have it, you can make one. Step 3: Open Apple Script Editor, copy and paste the script below, then save the script to "Script" folder, you can find "Script" by going to Library > iTunes > Script. Step 4: Close and open iTunes again. Then you will see a script icon at the top, click it to activate Super Remove Tracks Script. Notepad is a free and simple text editor for Windows and it facilitates you to create documents on Windows. It is commit to reducing the world carbon dioxide emissions by using less CPU power. The software is typical for no format tags or style so that it is suitable for editing system files used in a DOS environment. 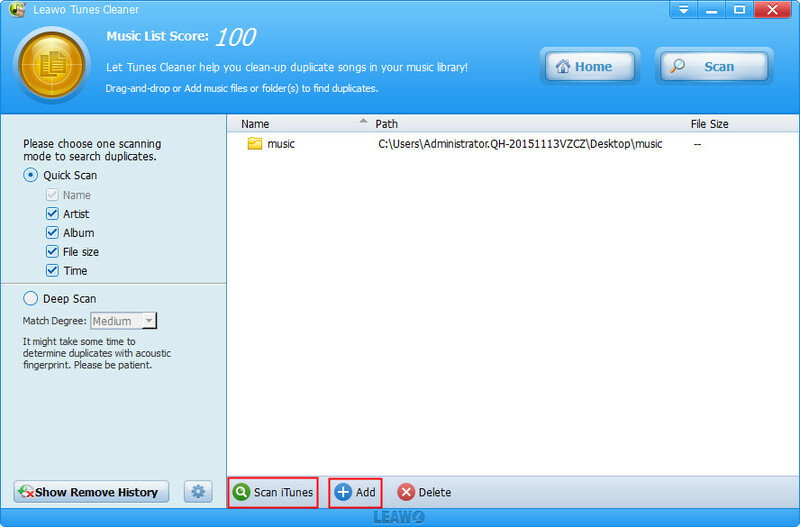 When it comes to remove dead tracks iTunes Windows, you can try this method. Notepad is also high efficient in removing dead tracks Windows. Step 2: Save the file extension as ".js", such as "RemoveDeadTracksiTunes.js". 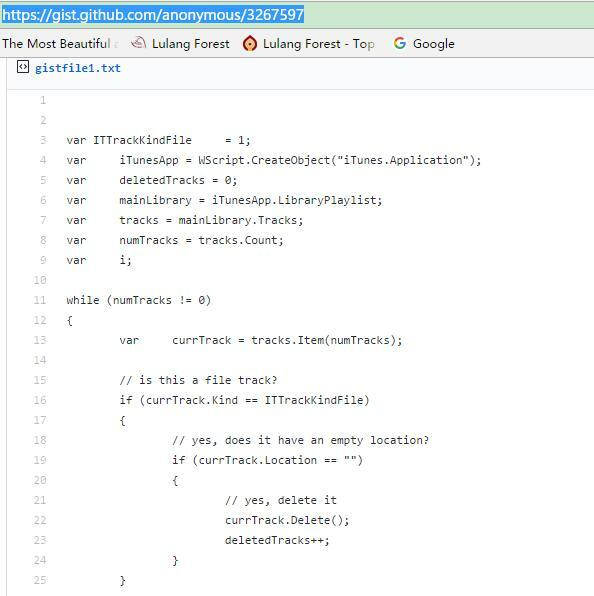 Please make sure that your file is saved as "RemoveDeadTracksiTunes.js.txt", or you can’t get it work. Step 3: Double click it to run the file. After a while, it will show you how many dead tracks it remove. You can save the code to remove dead tracks iTunes Windows in future. 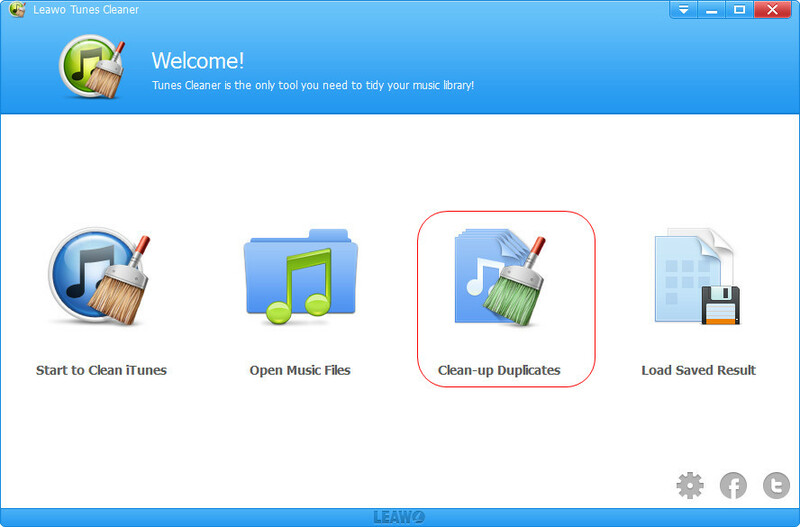 Leawo Tunes Cleaner is an all-in-one dead tracks remover that can remove dead tracks iTunes in one click. It is much easier to operate than Super Remove Dead Tracks and Notepad, for you don’t have to figure out the complicated script. Moreover, it can automatically detect duplicate dead tracks in two modes: Quick Scan and Deep Scan. The software can not only remove dead track iTunes, but also clean up local music files and add music tags for audio tracks. OK, now let’s learn how to make iTunes remove dead tracks Windows. Generally speaking, dead tracks include two parts: duplicate tracks and tracks that are deleted or can’t be found on iTunes. 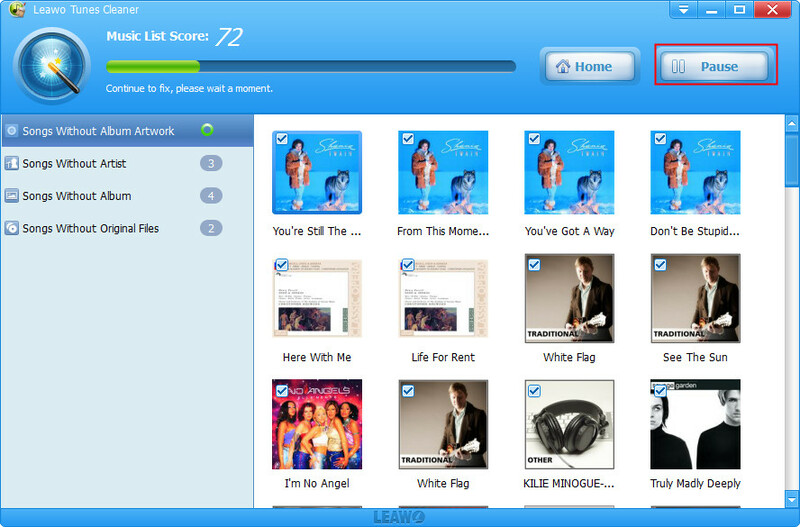 Download and install Leawo iTunes Cleaner, then launch the software. You will see four options on the screen and choose "Clean up Duplicates". You can set the scan mode in the left sidebar. 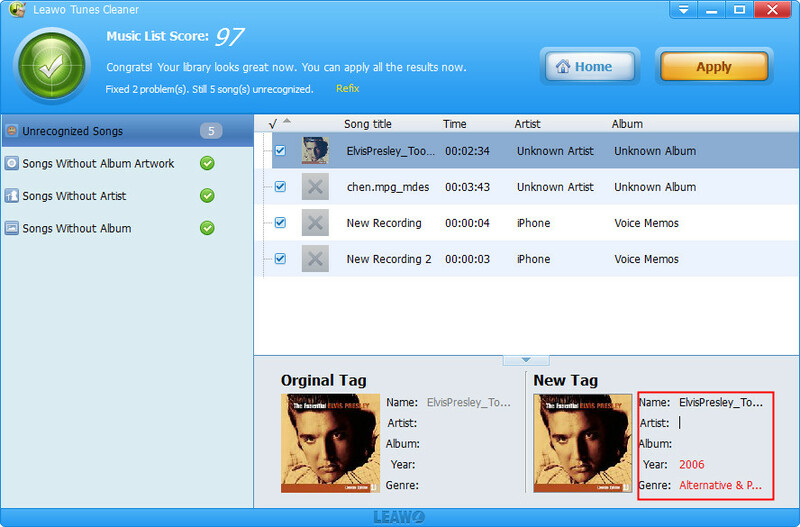 Quick Scan is based on music tags like name, artist, album, album, file size. Deep Scan determines duplicated with acoustic fingerprint. You can choose one based on your need. Afterwards, click the search icon "Scan iTunes" at bottom left. When the result is shown on the screen, select the item you need to remove and click "Remove" to remove duplicate tracks iTunes. 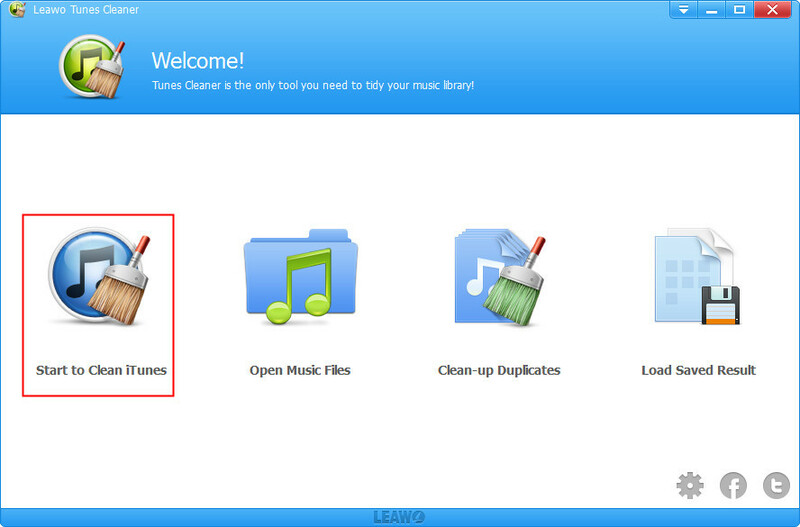 Install and open Leawo iTunes Cleaner and then choose "Start to Clean iTunes". Song with the incomplete info or dead tracks will be shown. You can see those songs displayed in different categories like "Songs without album artwork", "Songs without artist", etc. Choose one category and click "Fix All" to download music tags for audio tracks. 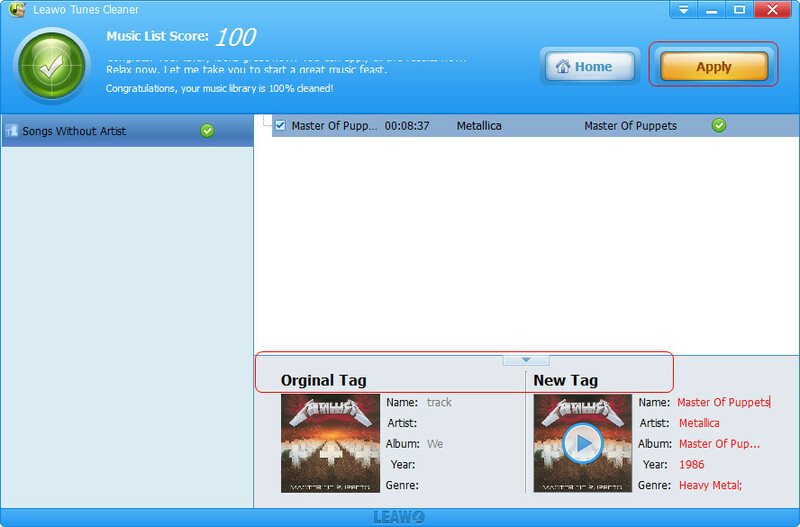 The results of fixes will show on the main interface, you can manually edit music tags like song name, artist. After adding music tags, click "Apply" at top right to apply fixes to audio tracks.In this way, you remove dead tracks iTunes.